What’s one of the oldest beauty rituals in the world? Baths! What’s a surefire way to feel like royalty? Baths! Hmm. We’ve got a quandary. Unless you’re Marat, or Colin from The Secret Garden (remember that horrible ice bath scene in the movie?) or the victims of Countess Elizabeth Báthory, you surely like the concept of taking a bath. You can add rose petals and candles! 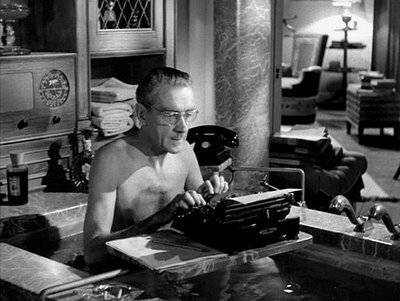 Or you can write scathing reviews à la Waldo Lydecker in Laura. Who can I make cry today? There are a number of beautifying baths one can take. Cleopatra, Elizabeth I and Sisi preferred milk baths; the Countess Elizabeth Báthory de Ecsed mentioned earlier famously murdered virgins to bathe in their youthful blood. As we can see, bath time can either be spa time, murder time, or playtime: John F. Kennedy apparently had toys in his bath even as president! Problem is, most of us broke fi broke plebes in New York and other urban areas don’t have the luxury of having a bathtub in our sardine apartments. But there are products that can recreate the experience of bathing even while showering (which is far more environmentally friendly anyways). To soften your skin, use Archipelago milk products and luxuriate as Cleo, Liz and Sisi did. They smell deliciously clean. Both men and women will enjoy using these milky treats to condition their skin, hair and body. An ex beau used the Shaving Cream before razoring his face; women can use the Leg Lather to keep their stems slick and razor burn free. To keep the scent close at hand, carry the Soy Milk Travel-Size Hand Creme in your bag. You’ll be sniffing your mitts all day. Ever since your bout with chicken pox twenty-something years ago, you may not have sprinkled that Quaker cereal grain into your tub water. But ya should. Those prone to itchy skin must know about this remedy. St. Ives’ oatmeal bath products are well known, but you can also create an oatmeal bath in your shower by making an oatmeal shower bag. Or just buy one from this Etsy store. Marinate in salt water if you got sore muscles. We all know this: NFL Players, Olympians and average schmoes use Epsom salt. Besides soothing your biceps, salt is also a known beauty ingredient (Dead Sea, for example). For you active rabbits, Kiss My Face Quads: Active Athlete body wash is packed with muscle relaxin’ ingredients: birch and eucalyptus. So, we’ve got the bath in a shower stuff down pretty well. Here’s hoping Archipelago will come out with a blood line soon (NOT)! As always, holler about your favorite shower stuff.